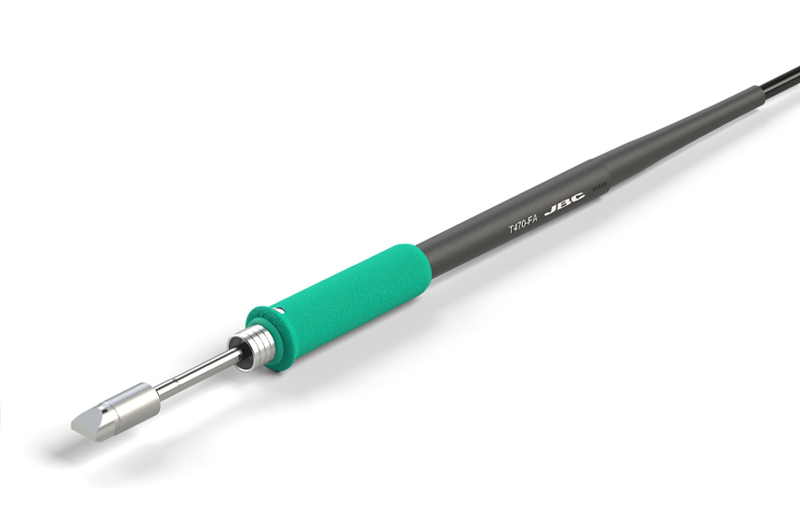 This soldering iron handle is perfect for intensive soldering jobs requiring continued high thermal power such as large ground planes, production of solar panels, armor and other applications. It features a thermal insulation foam grip and a larger width grip. The screw fixes the cartridge to prevent its rotation. It can provide up to 250W when used with a HDE station and C470 cartridges. It can also work with Modular and CD stations only with C245 cartridges.